Well, summer is officially here and road trips are likely upon us. If you have arrived here, you are likely seeking printable road trip games. Well, you have come to the right place! With five kids, it can be difficult to keep everyone entertained and happy during a road trip. There are some things I have learned, though, along the way that at least help with our family road trips. We do put up a video player. That helps, but of course we don’t do that the entire time. I like to have some screen free time too. You have to experience a road trip the old fashioned way. Also, I think it is important to look at the scenery. Why drive across the land and not enjoy the world around you? We also play the game Are we there yet chat ring I love these activities. They are great for car, plane, bus, train -however you travel. They require few supplies, or what supplies they do require, you already have. (A few of them require the “sick bag” from the airplane – you use it for fun, of course, not to get sick!) They come on a “key ring” -so, we actually keep this ring in our car and whenever we are out and about it, it is easy to come up with an idea or way to entertain the kids. On the same theme, we also keep the game Let’s Chat Game in the car. (We have one in the car and one we keep at home!) These are great conversation starters, for the car, the dinner table, or out a restaurant. If you could be anyone from history, who would you be? Anyway, I also always make some printable road trip games. These are great for the older kids. 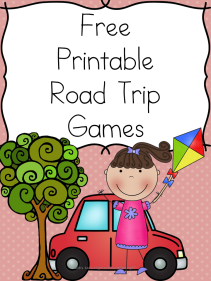 They can read and write and play these printable road trip games with each other. So, without too much ado, here is the info about these printable road trip games! There are 22 pages in all in your free printable road trip games. There are a few games having to do with a United States Map (name the states, name the capitals, color in the state when you have found the license plate). There are a few games to play where you make words out of different letters. There are a few brainstorming games and there are a few tic tac toe and hangman games. There are some color by sight word/color by letter pages, and there are some decode the code pages. Check out these other great Road trip ideas! Road Trip Games for Kids from Look! We’re Learning! Would love some pintable’s for our up coming road trip! I sent you a copy of the Printable road trip games…It was sent yesterday – let me know if you did not receive it. Feel free to email me at [email protected] Enjoy your trip!! 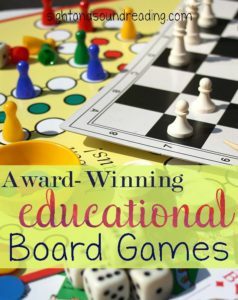 The printable road trip games are fabulous, even when not on a long road trip! One question though, and maybe I’m missing something super obvious like usual lol, but the code breaker sheets seem to be missing the letters above the emojis for the sad/mad series. Or maybe I lost a page somewhere? Please advise. Thanks and I love all of your posts! So thankful for you. Right that makes sense, more so than at first. But I’m still having trouble. The first smiley on page 2 I see would be the letter A, but I don’t see the next smiley on page 2 listed on page 1 under a letter. So should I just fill in the letters above the smileys I do see and figure it out from there? Then use what I get to decode page 3? I appreciate your response and would love the answers if your kiddos do them. Thanks again! !